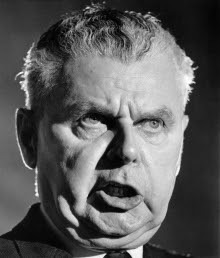 Diefenbaker, who was the PM from 1957 to 1963, is widely regarded as being the ugliest Canadian of all time. 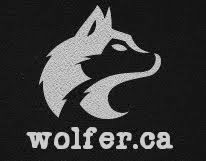 When he was in power he'd terrify people by coming out at night to prowl the streets of Ottawa saying, "Grrrr! Grrrr! I'm canceling the Avro Arrow! Grrrr! Grrrr! I hate the Canadian flag!" Nobody would lie about being Diefenbacker's son. I just feel sorry for the poor woman who must have been clubbed over the head by party staff and left at Conservative headquarters like a sacrificial offering so that Dief could have his way with her.